Why is it important to know about ACT pacing? Why take the time to learn about ACT time management? Let’s put it this way: So many ACT students get bogged down by the fact that each section of the ACT has so. many. questions. And you’re given so little time to answer them! Here’s what you need to remember: the ACT doesn’t just test your knowledge. The exam is also a measure of how well you perform under pressure and how well you implement test-taking strategies. You can improve your pacing on the ACT, with the help of simple strategies. And doing so can drastically improve your score. Because, don’t forget, the ACT doesn’t penalize you for guessing in the same way that the old SAT used to. In other words: the ACT does not subtract points for wrong answers. So, it’s in your best interest to answer all of the questions, even if you have to guess on some. Ready to learn some strategies to improve your ACT pacing? Let’s do this! Yes, keeping an eye on the clock can help keep you on track with your pacing—but constantly figuring out how many minutes you have left per problem also eats away at that valuable time! As you practice, work on ACT time management by dividing each test into “groups” of problems. On test day, know that you’ll only have a certain amount of time to do each problem, page, and section. Make sure to leave some time at the end to check your work!. If you can’t finish a certain portion in the allotted amount of time, move on. You may be able to come back to it later. If you can’t, at least you have more time to gain points elsewhere. Always be aware of how many questions you have left! Good news: The number of questions per section never changes, and part of preparing for the ACT is knowing its format cold and practicing with it in mind. The ACT English Test has 75 test questions. The ACT Math test has 60 questions. The ACT Reading Test has 40 test questions. The test has 40 test questions. With those numbers in mind, keep track of where you are in a section at all times. Grouping problems within each section can also help with this. Don’t rush through the beginning quarter of each ACT Test section. Instead, move quickly through the easy questions, saving the majority of your time for the harder test questions at the end. Another way to make sure you’re not missing any points that are easy for you (rather than what the test makers consider easy): Quickly skim through the test, only stopping to do problems you are sure you know how to do. You may skip a question when you read a word you aren’t totally familiar with. Or maybe you frequently get a certain type of question wrong so you assume that this time will be no different. When you are done, return to the harder problems. Each of these methods leaves more time for working on harder problems. Keep in mind that you still might not necessarily get to every problem. You may not have time to come back to a lot of the problems you never even tried. Also, many test questions are easier than you think. If you have the time, at least try every single problem. Every point helps! Don’t Get Bogged Down in the Middle! Students usually find that time starts to run away from them when they start seeing harder questions that they refuse to “give up” on. Don’t let a few hard questions ruin your chance to finish all of them! If you’re spending more than two minutes on a single question, it’s time to guess and move on (this is particularly true on the Math test!. Also, this is another reason to always do the easiest questions first. Don’t Leave Any Questions Blank! Remember that there’s no wrong answer penalty on the ACT test, so if you feel the clock ticking down and you’ve still not been able to get to the last few questions, always bubble something in on your answer grid! Pick your favorite letter and go with that. With those general tips in mind, let’s turn now to look at how you can maximize your time on each section of the ACT, in order of appearance. I know—75 questions in 45 minutes sounds impossible. But it is doable, if you’re strategic about it. How to strategize? Here are a few tips for ACT time management on the English test! In short, learn the most commonly tested ACT English concepts in advance. There are certain things the ACT tests on every single exam, like punctuation. As you study, learn what appears most frequently on the test, and focus your study there before you move onto the concepts that only might appear on the test. A great place to start is the red Official Guide’s section on ACT English! Looking for the Main Idea of a Passage? Re-Read the Title! For those ACT English questions that ask about the purpose or function of a paragraph or the passage as a whole, go back and re-read the title of the passage. Every ACT English passage has one, and it’s a great clue to help you find the main idea! Rushing to Finish the ACT English Test? Pick “OMIT”! The ACT hates redundancy and wordiness, so a shorter answer choice is always better as long as it doesn’t 1) change the meaning of the sentence in a way that doesn’t make sense, or 2) introduce a new grammar error. Even though the ACT Math test actually gives you the most time per question than any section on the exam (except, of course, the essay), for some reason the stats usually scare students the most. 60 questions in 60 minutes?! Yep. But don’t worry! Here’s how to face that ticking clock on ACT Math. Stressed Out Over a Hard ACT Math Question? Skip It! Don’t get bogged down in the middle of the ACT Math test. As we’ve seen, the questions only get more challenging as you go on—but remember, what the ACT test makers consider challenging may be right in your wheelhouse, and you may be able to rack up way more points later on in the section. If you are stuck on a particularly hard test question, mark it for later. Don’t spend more than two minutes (at the absolute, absolute max!) on any one Math test question. Low ACT scores are often the result of lingering too long in the middle of the test. Would you run a marathon in a pair of brand-new running shoes? Hopefully not. (Please don’t do this.) Similarly, ACT test day is not the place to try out your brand-new calculator, or even to borrow one from your friend. Use a calculator that you’re comfortable with so that it can serve the purpose it was meant to: helping you answer questions faster. Just like ACT English, ACT Math tests the same kinds of questions on every single exam. Starting to notice a pattern? Yep, it’s that beautiful standardized format. How can knowing problem types and frequently tested content save you time? Well, imagine you come across a triangle problem and, unfamiliar with what the ACT Math section usually tests, you start using advanced trig formulas. Pretty soon, you arrive at an answer—that looks nothing like any of the available answer choices. ACT Math only tests very basic trig concepts—and knowing that could have saved you a lot of time and stress. The ACT Reading Test will always be the third test you take on the ACT Test. Since it is 35 minutes long and contains 40 questions and 4 passages (10 questions on each passage), you’ll have slightly less than 9 minutes to spend on each of the 4 passages. That means in 9 minutes you’ll have to: carefully read the passage AND answer 10 questions. What does this boil down to? Ideally, you’ll spend 3-4 minutes analyzing the passage and 6-7 minutes answering the questions. You may have already noticed that this section is significantly longer and contains more tips than the post has for other ACT sections. That’s on purpose! 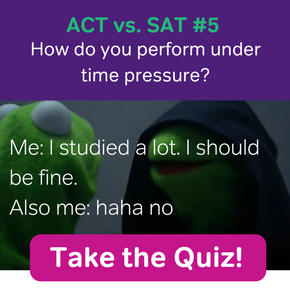 The ACT Reading section can really drag your score down if you fall into its time traps—and there are lots of time traps! How to avoid them? Read on! One way you can focus your timing is to briefly flip through the entire test BEFORE you begin. Just because the passages are presented in a certain order doesn’t mean you have to approach them in that order! As you practice, you will start to realize which passages are easier and which are more challenging for you. For example, if Prose Fiction is your strong point but Natural Science passages make you nervous, it may make sense for you to do the Prose Fiction passage first and save the Natural Science passage for last. Just because the Natural Science passage is first, doesn’t mean you’ve got to do it right away. If you do decide to skip around, make sure you are still bubbling in your answers into the corresponding numbers on the answer grid. You don’t want to lose points because you bubbled incorrectly! Another way you can pace yourself appropriately is by practicing your active reading skills. Do you find yourself getting lost in the details or are you someone who tends to read too quickly and miss some of the important information? For the ACT Reading Test, you’ve got to strike a balance between reading for the author’s point of view and for the function of each paragraph and also noting the location of important details in case you need to come back later. Make sure you underline anything that seems significant to you – look for words and phrases that reveal the author’s opinion or summarize or give the main idea of each paragraph. Practice with an egg timer. If you are spending more than 4 minutes reading and marking passages, you are risking not being able to finish all of the questions on test day. Of course, this is important for all sections on the ACT, but practice specifically for Reading, too! 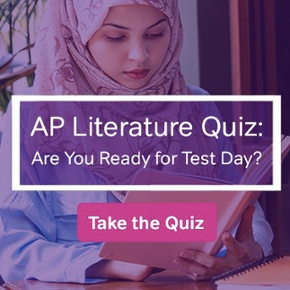 Once you feel confident in your Reading skills and strategies, it’s important to practice before your test day by taking a few full-length practice reading sections. Full-length practice tests are available in ACT practice books at local bookstores, at your local library, and are even downloadable online. Find a quiet place where you can take the practice session and clear off the table or desk. Try and eliminate any distractions and do the best your can to mimic your test-day environment. Keep a clock or timer in front of you so you can periodically check and see how you are doing. You may want to set the timer to go off every 9-10 minutes. If it does and you are still on the same passage, it may indicate to you that you need to practice your strategies in order to get through the test. Don’t rush, but make sure you can move confidently from one passage to the next and answer ALL questions in the time allotted. No one ever thinks about all the time they waste hemming and hawing over answer choices. If you take the time to come up with an answer in your head first before you look at the answer choices, you will actually save time (not waste it) when you are choosing an answer. Counterintuitive, right? Well, look at it this way. In an ideal world, we can do all 40 questions on the ACT Reading Test in 35 minutes, but many students find that they’re either rushing through them with low accuracy, or only able to do 2 or 3 passages. One of the things I hear a lot from frustrated students is that there isn’t enough time on the test to take notes of follow the recommended ACT Reading strategies. Let’s look at two students and their scores and see how slowing down and taking notes, even at the expense of leaving an entire passage blank, can actually increase your score on the ACT Reading Test! Let’s say Marion does not take any notes. She skims the passage and reads the questions quickly, then scans back to the passage hoping to locate the correct answer. Her goal is try to complete all 40 questions, which she is able to do by spending approximately 8-9 minutes on each passage. But because she rushed without really understanding any of the passage, she only gets 5/10 questions correct on each Reading passage, or 20 correct answers total. Because there’s no wrong answer penalty on the ACT, only her correct answers count towards her score. Now let’s look at another student. Steven reads each passage, carefully taking notes and breaking the passage down. He practices active reading and asks himself questions about the author’s main idea and point of view as he reads. This means that he only has time to do 3 out of 4 passages. For the last passage, he quickly guesses on the 10 questions since he knows there is no wrong answer penalty on the ACT. He spent about 11-12 minutes on each of the three passages. Because he really understood the passages, he gets 8/10 questions right on the first three passages he completed. His accuracy is much higher because of the time he spent thinking critically and analyzing the passage. For the last passage, he gets 2 questions correct out of the 10 guessed questions. This makes his total correct a 26. It’s pretty amazing how Steven took three more minutes on each passage, got only three more questions correct on each of the first three passages, did not even read the 4th passage, and yet received a scaled score that was a full 5 points higher than Marion’s! 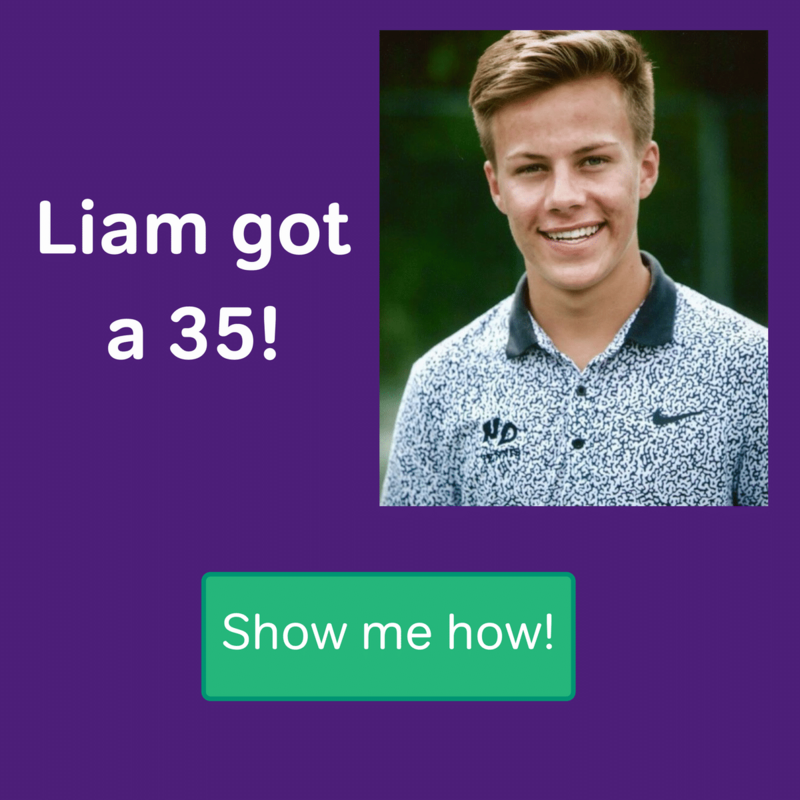 The Lesson: If you’re struggling with pacing and accuracy on the ACT Reading Test, try the “3 out of 4” method that Steven used! Once you start a passage, commit to finishing it. Going in test order may not be so important, but not wasting time jumping back and forth is. Valuable time will be lost confusing yourself, and even those precious page-turning seconds should not be wasted. Many students are intimidated but the ACT Science Test. Feel free to do the passages in any order. The Data Representation passages tend to be less “text-heavy.” If you’re a slow reader, but better at interpreting pictures, start with these. Doing practice science sections will help you become more familiar with topics tested on the ACT Science test. Or Do Your Favorite Type of Science Passage First. There is no rule that states you must do the ACT Science passages in the order in which they are presented, so if you’re not a fan of Research Summaries, skip it and do the Data Rep and Conflicting Viewpoints first. Using this test strategy doesn’t mean you won’t answer those questions, it just means you can always come back to them at the end. Just as with reading, read the passage to predict your own answer. Then match your prediction to the answer choices. This will save you time. Don’t get stuck weighing answer choices. Match your prediction and move on! Watch more videos about the ACT Science Test on our MagooshACT YouTube channel! A high level of organization is essential to better scores on the ACT Writing section. Use the sample essays on the ACT site to give you an idea of how high-scoring essays look. This practice will help you with your college admissions essays as well, since you have to write so many personal statements as part of college entry requirements. Unlike the SAT, the ACT is not strictly organized within sections from easy to hard. Rather than methodically plodding along from question 1 to question-whatever-you-get-to, think about completing each test in “rounds.” Round 1 is all of the questions you can do without a problem. Round 2 is the questions that you know you can do but are going to take you a little bit longer. Round 3 is the really challenging questions that you really need to think about. This is a great strategy for the entirety of the Math test. On Reading, though, you might want to do rounds within each passage. Go through each set of ten questions, answering the ones you can do quickly and marking the ones to come back to for Round 2. Then check your time (about 8 ½ minutes per passage) and see how much time you have to devote to your Round 2 questions. It is totally normal not to finish every single problem the ACT. There is no shame at all in deciding you need to just focus on 3 of the 4 reading passages to get your best score or 6 of the 7 science passages. This is way better than only half-doing all of the problems as you rush through. I mean, do it when the proctor tells you too—but not before! Now is the time to go back and check your work, not to take a nap! Don’t second-guess yourself to the extreme, but re-check your work on the medium-hard level test questions. Start practicing this tactic when you work on your ACT practice tests, and you will be more likely to naturally apply this strategy on test day! Thank you to Magoosh ACT Experts and Bloggers Rita Neumann, Kristin Fracchia, Susanna Langholm, and Nadira Berman for contributing content and expertise to this guide to ACT pacing and time management!